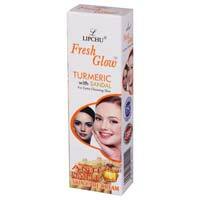 The company is known as one of the eminent Turmeric Skin Care Cream Manufacturers, Exporters, and Suppliers in India. 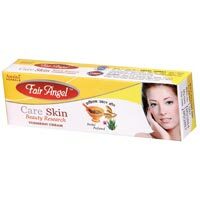 Our assortment of Turmeric Skin Care Cream includes Fair Angel Turmeric Cream and Fresh Glow Turmeric Cream. 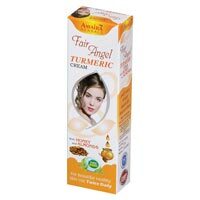 Made from natural turmeric, our Turmeric Skin Care Cream is high in demand in the market. 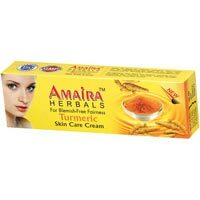 Amaira has combined the goodness of TURMERIC which is said to prevent the penetration of ultra violet rays of the sun into the skin and thus maintains the original color of the pigment of the skin, with the richness of pureSANDALWOOD OIL which is supposed to be the most cooling element in Turmeric Cream. It protects the skin year round from the elements. It keeps pimples and acne at bay, giving skin a blemish-free complexion. It rejuvenates and revitalizes the skin from within, leaving it soft, supple, and young-looking. Being pure and natural, with all the wonderful attributes of turmeric and sandalwood oil.